I’m often asked about what wire to use for jewelry making projects. The answer really depends on the project you’re making. In this video I tell you about the main wire used for ring making. 1. 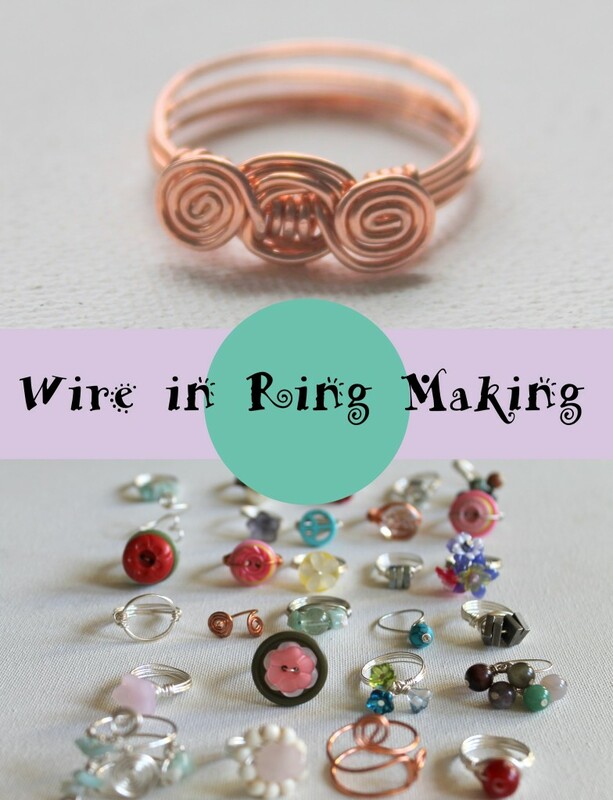 The wire you use will depend on the actual ring you’re making. If you’re making a ring from a tutorial of mine, I will tell you what type of wire to use. 3. The number for ring gauge is higher for thinner wires and lower for thicker wires. So 18 gauge wire is thicker than 20 gauge wire. 4. If you don’t have exactly the gauge of wire that is called for in a project, don’t be afraid to experiment with other gauges of wire. Ready for a challenge? 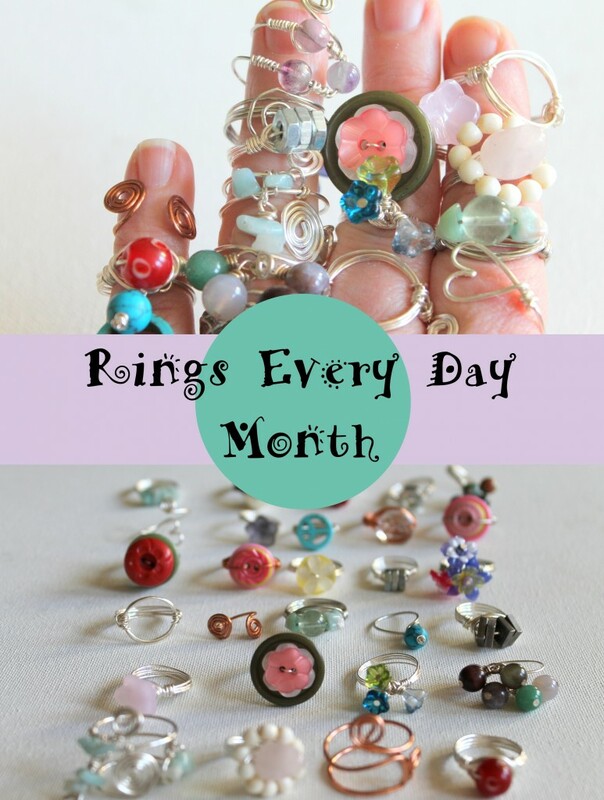 Check out my Rings Every Day Month Challenge coming up in April! This entry was posted in Jewelry Tools & Materials, Jewelry Tutorials and tagged how to make rings, rings, wire, wire wrapped rings by Kimberlie. Bookmark the permalink.